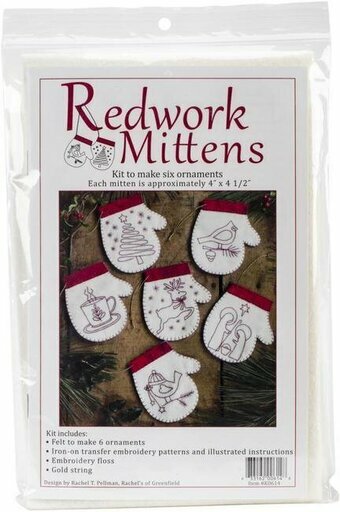 Rachel's Of Greenfield-Redwork Mittens Ornament Kit: Set Of Six. Elegant in their simplicity, these mittens use red embroidery stitching to create 6 festive designs. A reindeer, cardinal, steaming mug, Holy family, pine tree and small bird with a hat are sewn in red thread on a white background. Mittens are finished with red cuffs and a red blanket stitch along the outside edge. Lovely for trimming a tree, they are also the perfect size to hold a gift card or other small treasures. 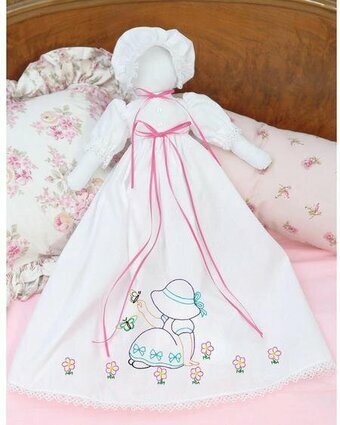 This package contains felt, iron-on transfer embroidery patterns and illustrated instructions, embroidery floss and gold string. Design Size: six 4-1/2x4 inch ornament mittens. 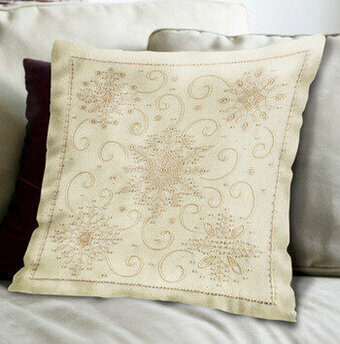 Add a bit of elegance to your guest bathroom with embroidered guest towels. 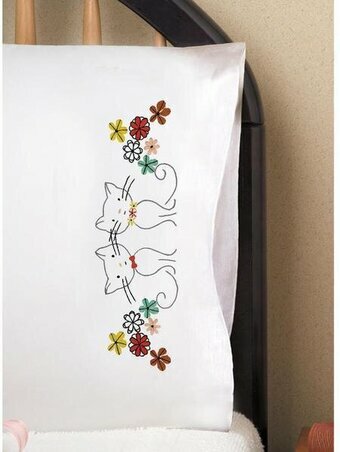 The design is stamped onto the fabric in blue ink that fades with washing. Package contains two 16" x 26" towels, floss shopping list and easy-to-follow instructions. DMC floss is not included. Create a fun and colorful piece of artwork to add to your home decor! This package contains one needle, red-brown, cobalt blue and yellow thread, pre-printed blue cotton cloth and instructions. Design: Galloping Horses. Finished size 13.4 x 13.4 inches. 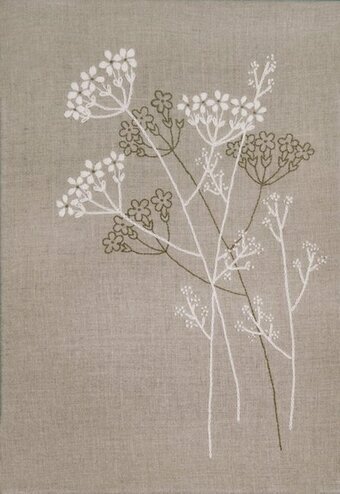 This stamped embroidery kit includes Tulip Needles Sashiko Needle, Sashiko Thread, Pre-printed white cotton cloth, and instructions. Finished Size 13.4" x 13.4". Create a fun and colorful piece of artwork to add to your home decor! This package contains one needle, Navy and Cobalt Blue thread, pre-printed blue cotton cloth and instructions. Design: Rooster with Blue Flower. Finished size 13.4 x 13.4 inches. Create a fun and colorful piece of artwork to add to your home decor! This package contains one needle, light brown, green, yellow, black and cobalt blue thread, pre-printed blue cotton cloth and instructions. Design: Rainbow Palace. Finished size 13.4 x 13.4 inches. 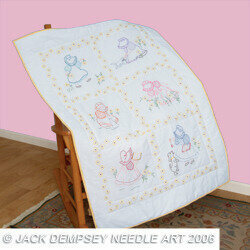 This embroidery kit includes printed fabric, DMC embroidery floss, embroidery needle and embroidery stitch guide. 8" x 8". This is a lovely holiday design or a cooling reminder in the hot season. Designed by Sandy Garbrandt. Design size: 14 x 14". Kit contains: Screen-printed 100% cotton muslin, candlewick thread, floss card, needle, graph, and instructions. An unlikely duo form a special bond on So Stinkin' Cute by Dimensions. 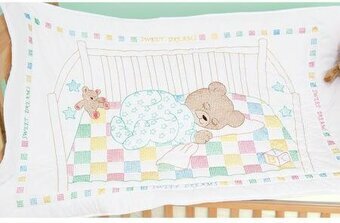 This embroidery design is perfect for baby's nursery. Finished size: 5" x 5". Cathy Heck. Kit contains presorted thread, printed fabric, needle, and instructions. 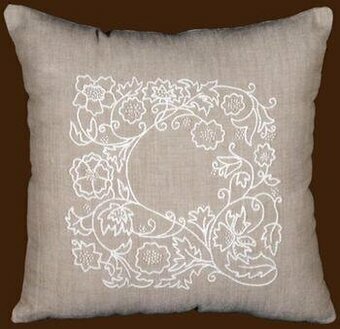 Embroidery Kits - Item #K71-06252 - See More Items Like This On Clearance! 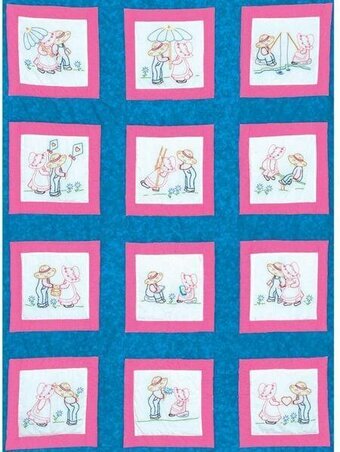 Design is on a standard (15x42 inch) dresser scarf. Finished perle edge. Embroidery floss is NOT INCLUDED. 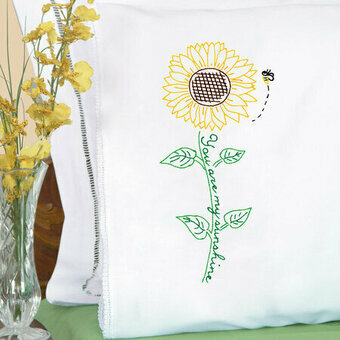 dd elements of nature to your decor with the Songbird Pillowcase Pair kit by Bucilla. Fall asleep amongst the songbirds with this happy and interesting decorative pillowcase embellishment. The kit includes two 30" x 20" easy-care pillowcases, stamped in washable blue ink, instructions, and a chart listing DMC floss requirements. Floss NOT included. Size: 20" x 30". Create fun stationery with your own personal touch. 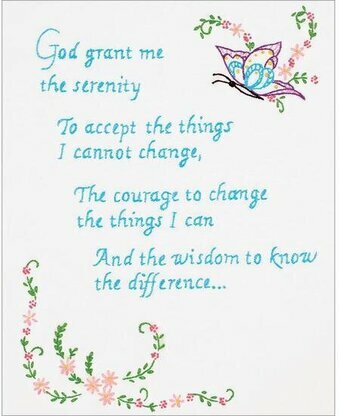 These Stitchable Cards from Dimensions take only minutes to embroider and are sure to be remembered. Includes six 7" x 5" cards with matching envelopes. 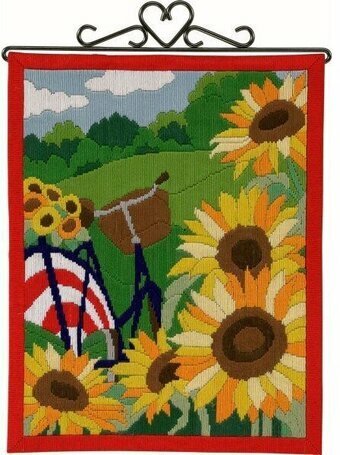 Embroidery Kits - Item #K72-75242 - See More Items Like This On Clearance! This quilt is a beautiful show of skill and needlework. The printed blue ink easily washes out of finished projects. 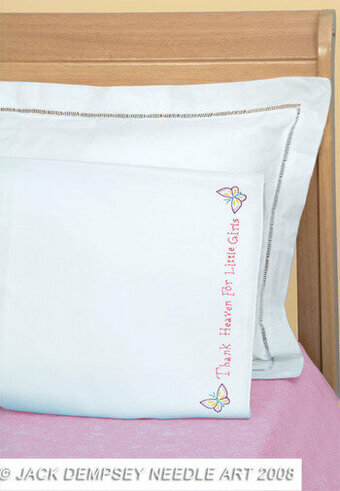 This package contains one 52x36 inch piece of poly cotton material stamped for embroidery with instructions. Floss; backing and batting NOT included. Made in USA. Complete kit includes pre-printed 14 Ct. interlock canvas, cotton matte thread, needles, and instructions. Hanger not included. Finished size: 12" x 14 1/2". 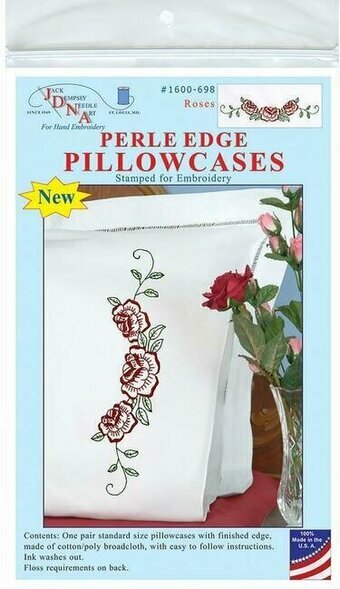 Embroidery Kits - Item #PER-704859 - See More Items Like This On Clearance! 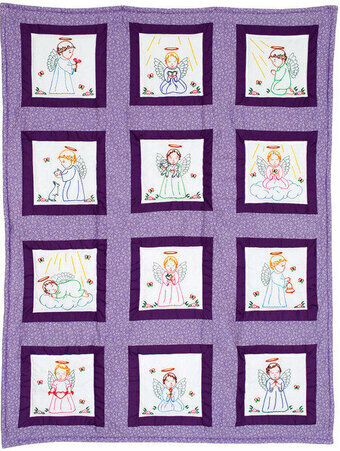 Embroidery Kits - Item #K72-75230 - See More Items Like This On Clearance! Brighten your kitchen with Sweet Pineapple by Dimensions in counted cross stitch. Finished size: 6" diameter. Kit contains presorted thread, 14 count white Aida, 6" wood hoop for finishing, needle, and easy instructions. 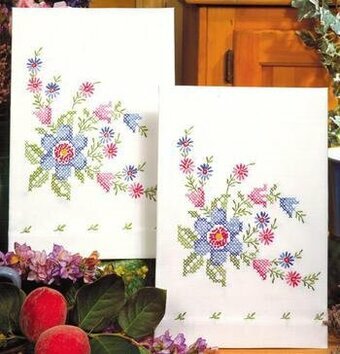 Embroidery Kits - Item #K72-75179 - See More Items Like This On Clearance! 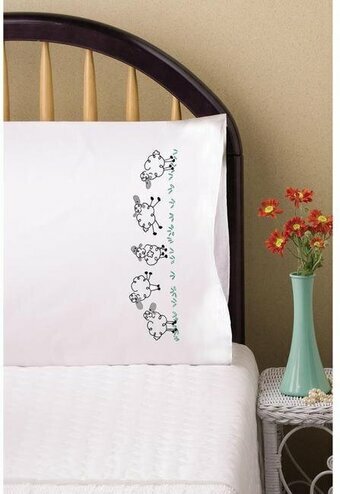 Bucilla Special Edition pillowcase pairs instantly brighten any bedroom with their colorful designs. 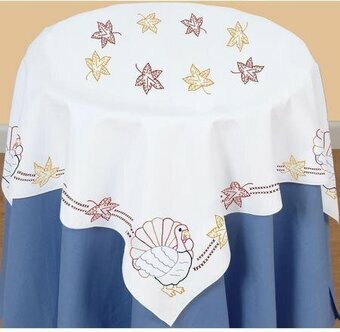 These beautiful patterns are stamped in washable blue ink on durable, easy-care 55% cotton/45% polyester fabric. Kit includes a set of two stamped pillowcases, DMC floss requirements (floss not included,) and easy-to-follow, tri-lingual instructions. 20" x 30". Set of 2. Tamar kits feature dreamy, imaginative designs that are relaxing and unique works of art. 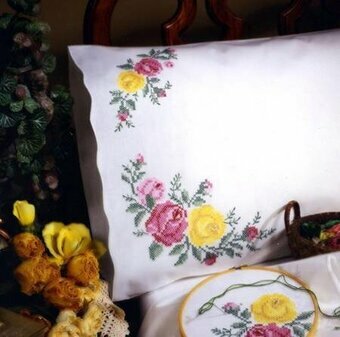 This embroidery kit includes: printed fabric, DMC embroidery floss, embroidery needle and embroidery stitch guide.